Study Agronomy to learn how to grow broad acre crops, cereal crops, fibre crops, oil crops, and more. Learn about crops ranging from wheat and cotton to soy and sunflower. 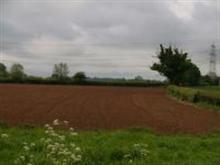 Learn to grow grain, oil and fibre crops on a broad acre farm. Improve your growing capacity with this course focussing on grain, oil, and more. Discover the most suitable crop types for your environment, report on your local area, and discuss possibilities with experts in the field. Note that agronomic practices refers to field crops such as wheat and cotton. It does not cover vegetable, fruit, forestry and flower crops. Go to your local department of primary industries (or equivalent), collect cropping guides on crops grown locally in your area. Ensure your information includes broadleaf, legume and grass (cereal crops). Collect fodder crop information also and find out what the main fodder crops are in your area. Obtain pictures of the seed and mid season crop and mature crop. Become familiar with agronomic terms and start a glossary, use library, text and internet searches to complete this task. Having looked at what crops are grown in your region, now look at the soil types. What type of soil is common to your region. What are the main features to these soils. That is, what colour is the soil, what texture is it, does it have a high sand or clay content, does the soil drain well, or waterlog? How did this soil form? Write these down as a reference. Collect photos of the various planting, cultivating and harvesting equipment used in your country and write brief notes on when and where you would use which machine and for which crop. Do this for a maximum of 5 pieces of equipment. Collect samples of your own seed (for 4 different crops), from a local farmer or produce store. Perform your own germination test using the cotton wool method. Take photos on day 2, and the final day. Record the number of seed germinating per day, and then the total number on the final day. Develop a management plan for a crop from planting through to post harvest handling. What is involved in growing a Broad Acre Crop? Barley is a crop very similar to wheat, but the finished product is where possible used to make malt, mostly for beer production or livestock feed. All barley varieties can be used to produce malt; however certain barley varieties are preferred by the maltsters. Any barley that does not make the malt specification is used in the feed market, for livestock feed. Some barley varieties are bred specifically for yield and use in the feed market. The characteristics of feed barley are usually a higher protein level than malting barley (this will hinge on nitrogen and moisture during the growing season) and high yields. Most feed varieties will out yield a malting variety but because there is often a premium price paid for malting barley the gross margin can sometimes be very similar. Barley has a root structure similar to wheat. There are two distinct systems: the primary and nodal roots. The primary or seminal roots arise from the germinating seed. Usually five to seven emerge and branch freely as they extend downwards. The seminal roots (secondary roots) are generally the deeper system and under favorable conditions have reached 2.1m. Maximum growth is reached about the time of ear (head) emergence. Barley is well adapted to a wide range of soil types except those prone to water logging, with a low soil pH or high boron levels. The major factor in selecting a soil type suitable for growing malting barley is nitrogen supply and water supply during grain filling. A variety of options are available that are better adapted to soils with a low soil pH or high boron levels. Barley is quite versatile in its planting time as it has a slightly lower frost tolerance (1oC) than wheat and can be planted earlier in the season. This is not true of some of the Australian barley varieties. A quick variety refers to the speed a crop can progress from planting through to harvest. Some of the Australian late season (quick) barley varieties will suffer massive frost damage if planted early in the season, and often have to be planted later than most wheat varieties to avoid frost damage. No barley variety is tolerant to high levels of soil salinity. On the other hand, Barley is generally more tolerant of salinity than wheat and so it is often the cereal crop preferred for sodic soils. The level of nitrogen available will impact strongly on yield and protein which have a major impact on crop return. Before a fertiliser program can be decided on it is important to gain an estimate of the existing soil nutrient status. Continuously low protein levels indicate soil nitrogen deficiency. When barley protein levels are below 11.5% dry or below 10 -11% (at 12.5% moisture) yield losses are likely. Monitoring crop yields and protein over time can give a good indication of the nitrogen status of a paddock. As a general rule, to grow malting barley, 0.4 kg of nitrogen is required for every mm of available soil moisture. Thus if there is 150 mm of available soil moisture, this will require 60 units of nitrogen to produce a barley crop with protein between 8.5-12%. In high yielding years, grain protein can be reduced through nitrogen dilution. Low phosphorus levels in a high nitrogen situation can result in delayed flowering which affects the yield potential and grain filling time of the crop. For optimum performance it is recommended to use a starter fertiliser with phosphorus unless levels are very high. Barley is more sensitive to aluminium toxicity than other cereals. Aluminium toxicity occurs mainly on light textured soils of low pH in the medium rainfall region. As the soil becomes increasingly acidic, the aluminium becomes more available and increasingly toxic to barley. Barley is susceptible to the high level of boron. The below diseases are common to eastern Australia. We suggest that you research relevant barley diseases in your country. Barley varieties will vary in their tolerance to diseases. Some varieties are bred specifically for resistance to particular diseases. Refer to the crown rot notes under the wheat heading. The fungus Pyrenophora teres causes the net blotch disease. There are two types of net blotch, net form of net blotch (NFNB) and spot for of net blotch (SPNB). The fungus causes circular or net like spots on leaves which leads to leaf chlorosis (death of leaf tissue). The NFNB is the more damaging form of the disease sometimes causing up to 30% yield loss, as well as increased screenings and sometimes causing malting varieties not to malt. Infected stubble is the main source of inoculum. Moist conditions for at least six hours with a temperature range of 10-25oC is ideal for disease spread. Spores spread in the air or through rain splash and continue to cycle with every favourable weather event. One way to manage the disease is to avoid planting barley back onto the last season’s barley stubble. Some varieties have much better resistance than others so careful choice of varieties is recommended. Careful monitoring and timely fungicide applications can also limit the economic impact of the disease. This type of blotch is often mistaken for spot form of net blotch as the symptoms look quite similar with small dark blotches that form on the leaf eventually causing leaf chlorosis and leaf loss however it is caused by a different pathogen. This disease requires warm humid conditions with a dense crop canopy. Like other barley diseases, a good crop rotation that avoids planting barley back into last years barley field will reduce disease levels as well as careful varietal selection. Powdery mildew forms furry grey patches of fungal growth on the leaf. Over time an infected leaf turns yellow and dies off. Spores are spread on air currents and humid conditions are required for sporalation. If a crop is infected during the seedling stage it can seriously retard growth. Some barley varieties are highly resistant to powdery mildew and show know symptoms of the disease where other varieties are highly susceptible and require some form of treatment. Some seed treatments can suppress powdery mildew. A timely foliar fungicide can also be a very effective treatment. Most barley varieties have adult plant resistance so the disease only needs to be controlled before late tilling. WHY WOULD YOU CHOOSE THIS COURSE? Some students take this course to fill in gaps in their understanding of broad acre crops, but for others, it is a foundation for something relatively new to them. Farmers may benefit by broadening their understanding and awareness of ways they might use their land; and others who work servicing the agricultural industry can gain a much better understanding of what their clients, customers and colleagues face in their daily work. Other agricultural professionals, from writers and educators to research scientists, seedsmen and plant breeders.